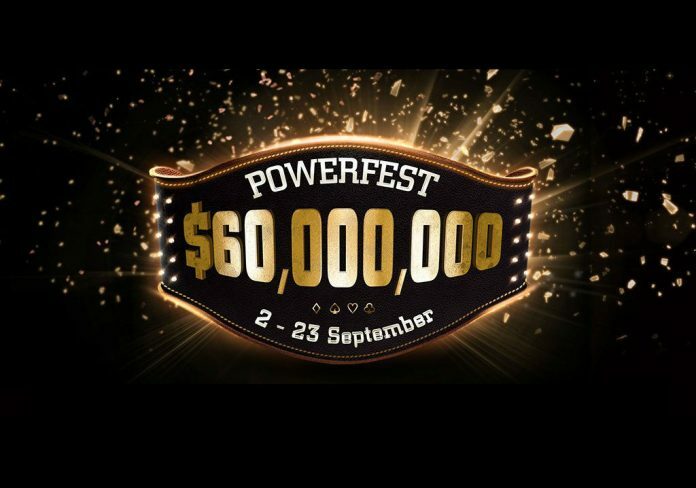 Day 9 of the partypoker POWERFEST saw 10 new champions crowned in the High and High Roller tier events. The biggest winner on the day was ‘BuyThaPot’, who took down Event #57 High Roller: $1,050 No Limit Hold’em Six-Max Progressive Knock-out. Outlasting 389 runners, ‘BuyThaPot’ took home the lion’s share of the $396,780 prize pool to win $34,852.61, as well as $26,230 in bounty prizes. There was a deal done heads-up with eventual runner-up ‘toadstoadstoads’, who banked $32,833.49 and $17,690 in bounties. This is ‘toadstoadstoads’’s second High Roller final table of this POWERFEST, having already locked up $25,250 for a fifth-place finish in the $1,050 No Limit Hold’em Mix-Max a few days ago. Meanwhile, it was a busy night for ‘malapisk’, who made simultaneous final tables in both the High and High Roller editions of the aforementioned six-max PKO. In the $1K, ‘malapisk’ finished fourth for $14,739.21 plus an extra $6,426 in bounties, while in the $215 he or she finished second for $13,935.80 (+ $3,240). Other winners on Monday include ‘pokeair77’, ’alienrobot’, ‘Echomaus’, ‘erdi1989’, ‘FeelMyD.’, ‘DntHOLDurBreath’, ‘HollowelDhar’, ‘drewmscott’, and ‘dnvz23’.